Green Architecture involves the Architects to work with the key concepts of creating an energy efficient, environmentally friendly house. 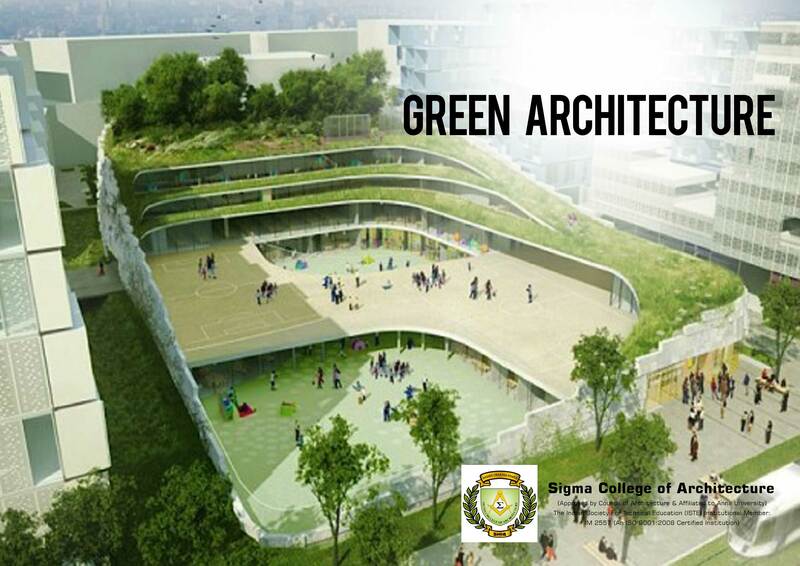 Green Architecture is a wonderful example of the possibility of humans living harmoniously within the environment. The natural economy of our blue Earth should be sufficient for any capable Architect to use as a model. The most important sign of a green Architect would be to translate the clients need and adapting the same into a ‘green’ design. From initial consultation, through to site visit and early designs, right through to liaison with builders and if necessary, plan modification must all be made keeping in mind the sustainable green designs. Few aspects of green home design includes solar panels, thermal mass building construction, green materials, including wood, stone, or earth (or even recycled waste materials, such as tires or glass or plastic bottles). This sort of Architecture is what we at Sigma College, one of the Top Architecture Colleges in South India aims to teach the future minds of our nation.